Throughout the centuries, Italian armour was highly prized for incredible detailing and superior style. 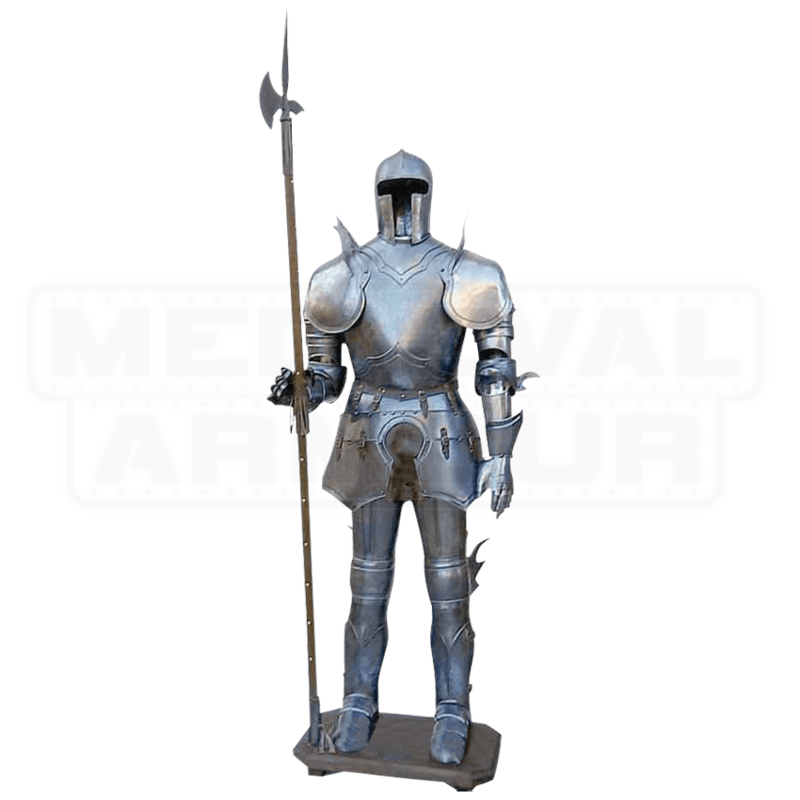 Our superb reproduction of Gothic Armour is crafted in the styling tradition of those master craftsmen who created the originals for Kings and Knights throughout Europe. This suit has a highly sought after blued finish which gives this armour a very authentic appearance and features metal skirting encircling the back, (no fake velvet here! ), which allows you to stand this armour in the middle of a room, for a great view from all sides if desired. 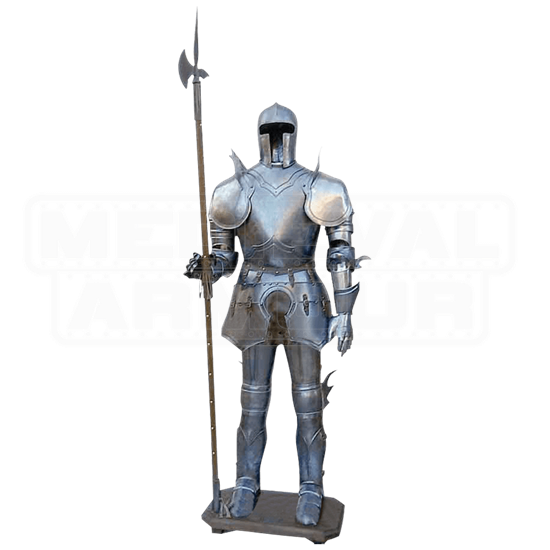 The Gothic Suit of Armour Display comes complete with stand and halberd. See the difference between a suit of armour from Italy and others made elsewhere, there is no comparison in styling. The Gothic Suit of Armour Display stands 7 feet high to top of halberd and 6 feet to top of helm.